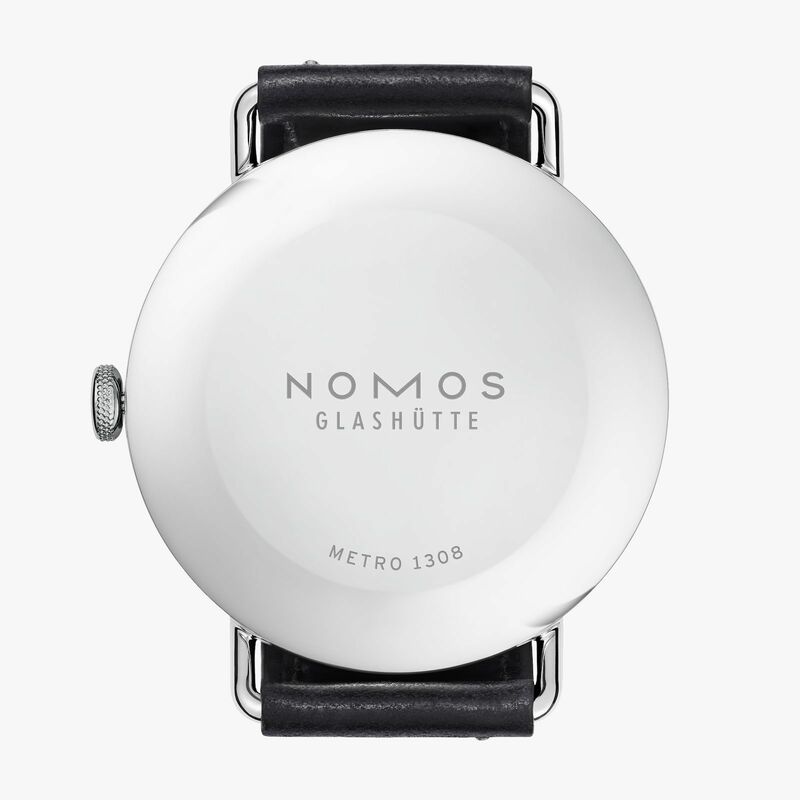 Nomos has done it again. The Metro is modern sophistication at its finest. The Metro model is young, straightforward and slim. The white silvered dial has small hints of color- clean cyan-blue minute indexes and a small red seconds hand. Despite all its metropolitan credentials, Metro is still Glashütte through and through: The stunning wristwatch has a 43 hour power reserve, where a very special heart is ticking away inside- the NOMOS caliber α (Alpha). The Metro 38 1109 has a closed case back; 1108 is similar but has a see-through back.